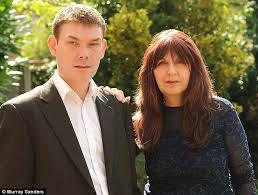 THE mother of computer hacker Gary McKinnon has been nominated for a human rights award after battling for ten years to prevent her son from being extradited to America. Janis Sharp, 62, from Potters Bar, said she was delighted to have been shortlisted by the campaign group Liberty for an award. Her 45-year-old son admitted hacking into 97 Pentagon and Nasa computers in 2001 and 2002 and American prosecutors want to see him brought to the US under the controversial US/UK 2003 extradition treaty so he can face terrorism charges. She has been recognised for highlighting the flaws in the treaty, which critics say favour the Americans. Mrs Sharp said the law gives an unfair advantage to the US authorities, who, unlike the British, do not have to provide evidence that a crime has been committed before someone can be extradited. Lawyers acting for Mr McKinnon, who is said to be suicidal, said extraditing him would be a breach of the Human Rights Act. Mrs Sharp and her son are currently waiting for the Home Secretary Theresa May to decide whether to block the extradition. Mrs May said she is weighing up the evidence, including medical evidence surrounding his mental health. Where’s the support for autistic young people? Autistic teenagers like Danny Hornby have nowhere to go when they leave school. A new campaign hopes to develop post-19 services that open up life chances and opportunities for all. When Virginia Bovell realised there were no schools offering the intensive support that doctors said her three-year-old autistic son needed back in 1997, she got together with four other families and set up a specialist school offering intensive, autism-specific teaching. Fourteen years later Treehouse, the school they created in north London, is recognised internationally as a model for how children with autism should be taught. But Bovell has recently found herself confronted with a new challenge. Her son Danny, now 18, is on the brink of leaving school and she has been searching for a suitable place for him to continue his education. Dismayed at the quality of what’s on offer for children with autism after school, once again she has joined forces with other parents to campaign for radical improvement. A report published next week by Ambitious About Autism, the charity aligned to Treehouse school, reveals that only 19% of children with autism continue with any kind of education after they leave school, and concludes that this is because there are so few colleges equipped to accommodate them. 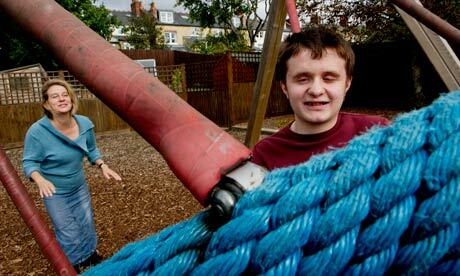 About 85% of adults with autism are unemployed. Most autistic children are faced with what Bovell describes as premature “retirement” in their late teens, with the option of living at home with their parents for the rest of their life, going to live in a residential community (of which there are very few), or spending time at daycare centres, often full of people who are two or three times their age. Without continued support, the skills that children have been taught can be lost, leading to a “huge waste of funds”, the charity states. “Dedicated teaching staff say that one of the saddest, most frustrating aspects of their job is that they put in all this effort and see all this progress for a young person at school and then find it totally heartbreaking to see that nothing was available afterwards,” Bovell says. Although their campaign focuses on improving opportunities for young people with autism, the charity’s findings will resonate with parents of children with other disabilities, who often find that state support throughout childhood is replaced by a black hole once they reach 16. Adult social care services face increased costs “due to our failure to support young people to live in their community and contribute to society,” the report argues. The annual cost of supporting people with autism in the UK is estimated to be £27.5bn, the report says. Bovell’s new campaign is significant because the work she and other parents (including her ex-husband and Danny’s father, the novelist Nick Hornby) did to improve services for children with autism had a profound impact on expectations nationally, showcasing what was possible and encouraging parents to demand more from their local authorities. Three years ago, a permanent complex of beautifully-designed school buildings was opened for Treehouse, complete with specialist playground equipment, music rooms and facilities for teaching children to cook and live independent lives. Over the past decade there has been greater recognition that autism, which is a lifelong neurological condition, affects a larger number of people than was previously accepted. Despite this, local authorities have not responded to the growing need. “When we were starting, one of the reasons there was very little provision was that people were still working on a prevalence rate of four or five per 10,000, now it’s widely recognised that the autism spectrum affects 1% [of children],” Bovell says. The charity is developing plans with a number of further education colleges to support young people with autism to continue their education. There is no autism-specific college in London and the charity wants to change that. The government’s green paper on special educational needs published earlier this year offered a proposal to extend support for disabled young people up to the age of 25, and the Ambitious About Autism campaign wants the government to create a legal right to educational support up to the age of 25. However, there is growing pessimism about this ever becoming policy, given the current pressure on public finances. As a parent, Bovell says she worries endlessly about the opportunities that will be available to her son once he leaves school. “At the extreme end, you hear of adults going on living with their parents for the rest of their parents’ lives because there is no alternative. When their parents die, maybe in their 80s, leaving their child in their 50s or 60s, there is an emergency. It is an emotional catastrophe and suddenly the whole world falls apart, and they go into residential care. That is a nightmare prospect for everyone involved,” she says. She is hopeful that Ambitious About Autism’s campaign will help improve the prospects for young adults with autism.